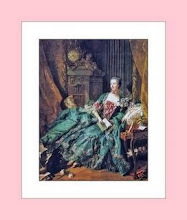 Welcome to my blog ~For Heart and Home~. 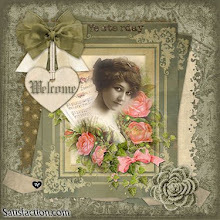 Thank you to my dear friend Linda from New York who took the pictures I sent her and made this beautiful banner for me. I visualized what I wanted it to look like and she made it happen. That is my sister and I as youngsters and yes, that is the home I grew up in during the 40's and 50's. Right about now, you are all probably saying, my goodness she is old. I am vintage, just like fine old lace. 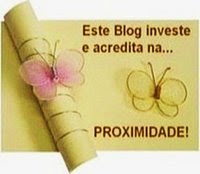 Thank you also to my good friend Debbi, from Oregon who answered questions non stop while I was trying to navigate the workings of the blog world. What is so wonderful is that friendships can reach across the miles and even tho we have never seen each other in person - through the wonders of the computer, we have developed that bond. Also, a big thank you to my good friend Mona also from New York, who often helps me after I have totally screwed something up on the computer. I feel very Blessed to have you all as my friends. 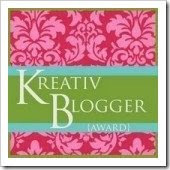 Thank you and I hope everyone enjoys my blog. I know I will. Hi Everybody! It's time for the Vintage Alphabet get-together. This month's letter is 'B'. Click on the banner above and you will see all of the participants in this fun get together. Hope you enjoy viewing my vintage "B" items. This vintage Bedspread in soft butter yellow. 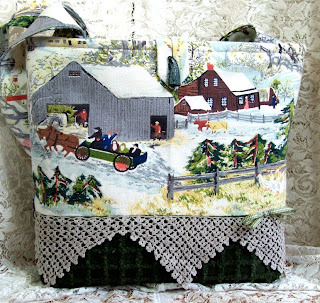 This Barkcloth tote made from vintage Grandma Moses Barkcloth - Springtime on the Farm. This vintage Basket piece of silverplate which has been handpainted by me. 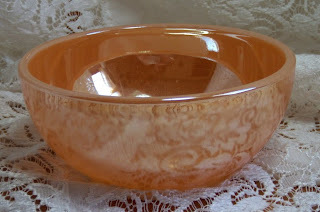 I have this vintage peach lusterware cereal bowl made by fireking. 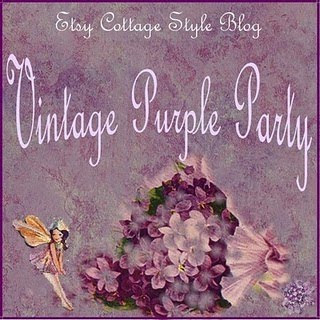 To celebrate the month of February - birthstone is Amethyst, we have been asked to share any vintage items we have with the color purple. That was a movie wasn't it. Hope you enjoy my treasures that I have decided to showcase today. 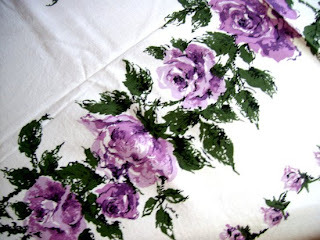 I have these two vintage tablecloths that I received at my bridal shower in 1963. They are in like new condition as I hardly used them. I was not into purple and now I am glad because they are in beautiful condition and are wonderful keepsakes. The rose one has no label, but the violet one is a genuine Wilendur. 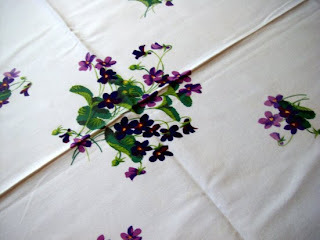 I handpainted this vintage tray with a beautiful nosegay of violets. It is for sale in my Etsy shop. I love finding beautiful old laces and combining them with gorgeous fabrics to make something useful and beautiful. 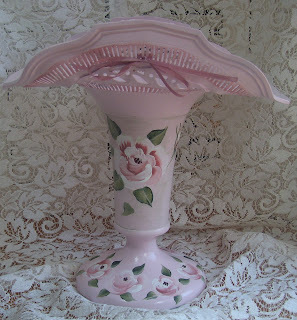 I paint roses on just about everything giving old items new life. I have been married to the same man for 49 years. We love old cars and have two 1932 Fords, which we drive to many rod runs. I have two children. Leanne who is married to Grant and has one daughter Alexandra. My son Cory who is not married and is a long haul trucker. I have looked after my grand daughter every day since she was six months old and she is now 15, while her parents go to work. She is my absolute joy. I absolutely love being in my craft room and creating. 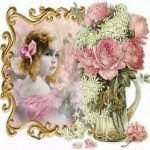 Visit all the wonderful sellers by clicking on logo.